First few days on it were all packed powder, groomer days and I was amazed at how well it holds an edge for such a short board. It carves way better than my daily driver - a Neversummer Proto. It's a bit stiffer and it takes a bit more effort to get it up on an edge than the NS but once you do, definitely get rewarded for it. I wouldn't necessarily take this board out on a day that I'm looking to bomb at high speeds as it's not as stable as the NS and its just too much fun to turn. The board has decent pop but takes a bit to get used to with the short tail for both take off and landing. There's definitely a smaller "strike" zone for getting pop off of a ollie and landing too far back is an easy way to wash out. While it could handle an XL size kicker it wouldn't be my first choice. Its right at home on medium sized features. Another pleasant surprise is that despite the small tail and directional profile its not too bad to ride switch. The one area I found it to be weak at was tracked out/hard bumps. Perhaps it was the stiffness of the board or just the overall wide base that made it difficult but it was definitely not fun (not that anything would be). Finally got to try it out yesterday in trees and powder and it did not disappoint. Extremely easy to maneuver and the float is awesome. With surgically repaired discs on the right side of my back, I generally get really bad sciatic pain in powder from leaning on my back foot all day. This was not the case, I've never had as much stamina on a deep day as I did yesterday. Definitely added a few mph to my tree riding as well. We didn't get any runs with extended open powder as the trails were all wind scoured but there's no doubt that it will rip. Also predicting that its going to be amazing in spring slush. 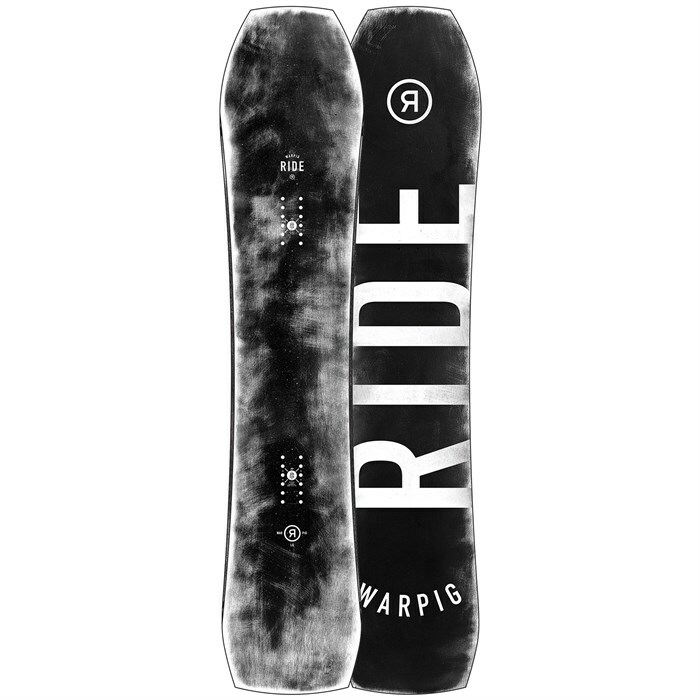 While I'd still rank the Neversummer Proto as slightly more versatile and as having a higher peak performance, the Warpig is solid all around and honestly more fun to ride. It's stiff and responsive but yet super playful.